We’re finding Chinese to be a difficult language to learn. 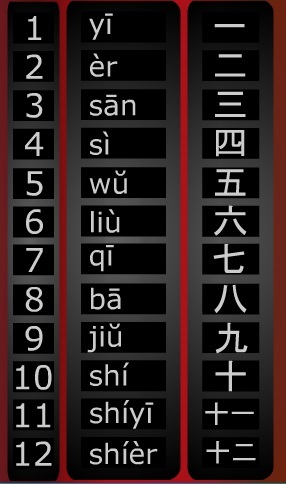 There seem to be four ways to pronounce anything, for which you can use Pinyin, the sounds seem to be rather random and there is no Latin base like there is with Spanish or Italian, you pronounce q as ch and z as ds etc, and the characters give no clues as to how to pronounce the words. Just counting to ten is difficult. Counting to twelve is our homework this week. For the pronunciation, go here and click on the speaker icon. I found this medal whilst tidying up today. The L/Cpl McKay in question is standing middle back row in this picture. 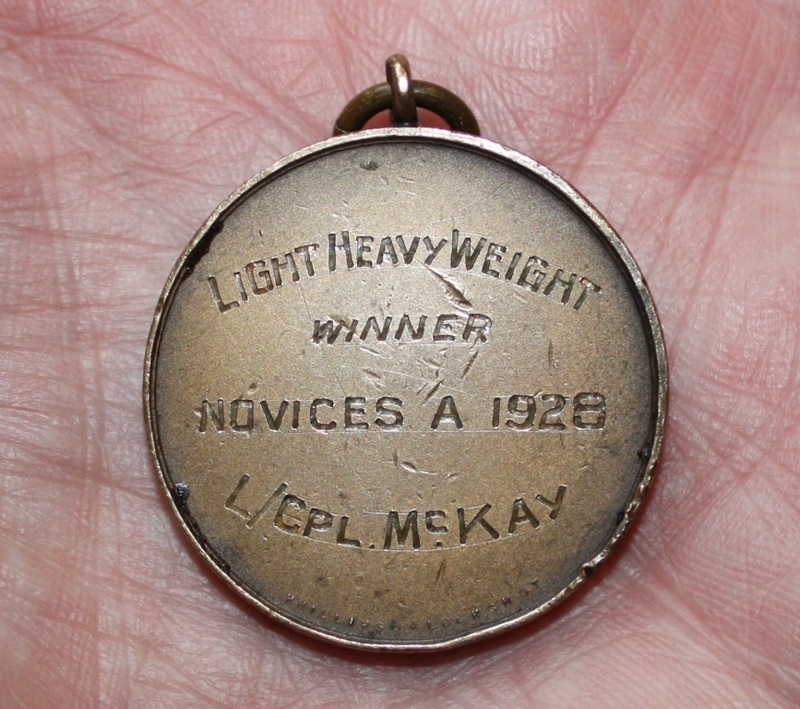 The enscription reads: Light Heavy Weight Winner, Novices A 1928, L/Cpl McKay and on the other side: The Queen’s Own Cameron Highlanders, Egypt. I have a terrible feeling that my great uncle’s surname, according to his birth certificate, was different to the other Mackays in his family because his birth had been registered on January 2nd. Do you agree that the forthcoming Scottish Referendum is a very important issue? Do you agree that it will be important to ask the right question in the Referendum? Do you agree that it will also be important that the question asked in the Referendum is absolutely clear, and in no way a leading question? Do you agree that a question that starts with “Do you agree…” might just be construed as a slightly leading question? I’ve added the following titles to JournalTOCs, the free current awareness service for researchers, students and lecturers. JournalTOCs now contains details of the latest Tables of Contents of over 17,800 scholarly journals, including over 3,200 Open Access journals. 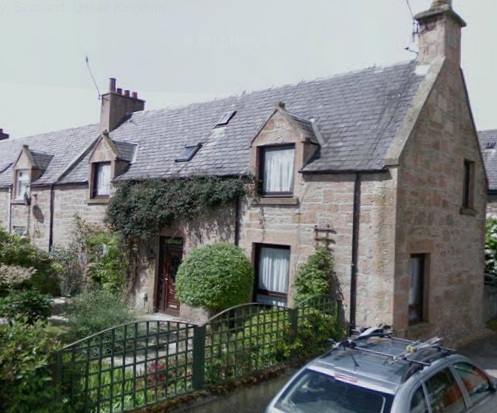 In the 70s I lived in a student flat, on a street off The Meadows. 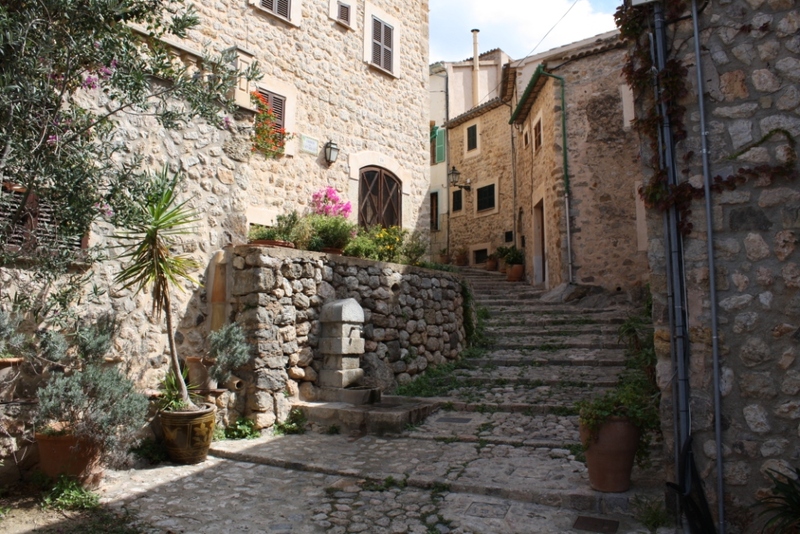 Not all of the people who lived there at different times were students – some worked in the Inland Revenue, which at the time was reckoned to be the most stressful part of the Civil Service, and some others were teachers. I worked in the Inland Reveue one summer myself, and didn’t find it stressful, but some of the LPs (I think they were called that, anyway, for London Provincial) were worse than others. At the one I was based in for a few weeks, everyone stopped working as soon as the boss went out the door, which seemed a bit pointless. I remember one day being allocated a particular job, which involved checking a printout for exceptions and I finished it the next day. 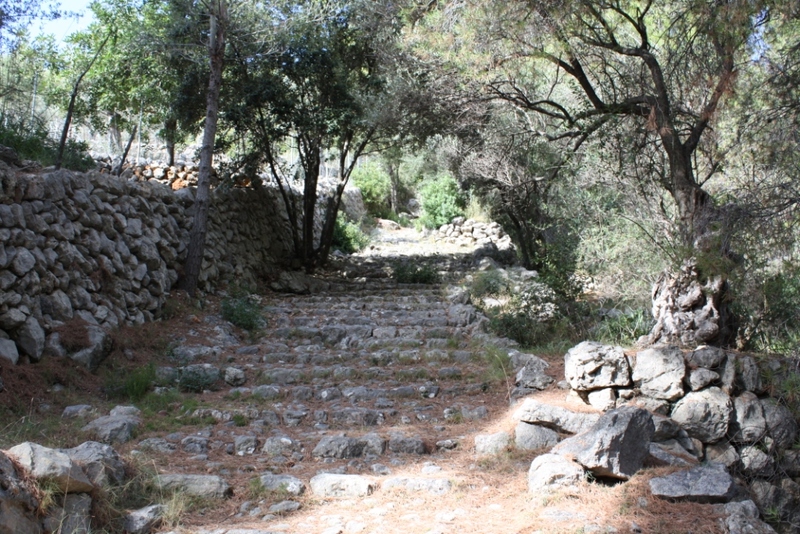 This rather showed up the person who traditionally took a week to do the same job, and didn’t go down too well. Wow. We all signed up for that doctor for future possible reference. He was a fair enough doctor, if a bit generous with the sickies, though he did once nearly gas me when he forgot to light his wee fire in his surgery. At the present time, I’m suffering from general malaise as a result of what is almost certainly a kidney infection. I’ve had several of those in the past, along with kidney stones that are sometimes the cause, so I know the symptoms. I just want to doze, or lay down and do nothing except read, my lower back is very stiff, and there’s a slight fever. Here’s a list of possible symptoms for a kidney infection. I don’t need a line, because I don’t have a job, but I’ll see about getting some treatment at the medical centre tomorrow. In the meantime, I’m getting through a bundle of books. One of them is titled: Toppling the Duke: Outrage on Ben Bhraggie? by Rob Gibson. It’s more of a booklet, being only 57 A4 pages. I wouldn’t recommend it, because the author has an inaccurate perspective on history, citing rubbish by John Prebble as an authority on the Clearances, and he is obviously very biased in reporting on the subject of the booklet, which is about the shenanigans of some SNP councillors who tried to get the monument to the Duke of Gordon, which sits atop Ben Bhraggie, dismantled in the mid 1990s. The usual false history about the Clearances in Sutherland is once more set out. Of interest is the fact that most of the local people (the SNP councillors were not from the area) wanted to keep the monument, and advised the SNP councillors to leave them alone. If we can’t get history right, and this booklet along with those SNP councillors obviously get it wrong, then how can we expect to get ideas about the future right? The various historic myths that help to make up ‘Scotland’s troubled national psyche’, which I’ve hinted at in a couple of posts to this blog in the past, are that the nasty English were the cause of the failure of the Darien Scheme (they weren’t – the Scheme failed because of the poor location, and attacks by the Spanish), and that the ensuing bankruptcy of the country meant that Scotland was forced, against the wishes of most of the Scots, to join the Union. A few high-ranking landowners were paid-off – hence Burns wrote “We’re bought and sold for English Gold, Sic a Parcel of Rogues in a Nation.” I won’t go into that just now. The myths continue that the Union was unpopular, hence a series of Jacobite Risings which finally ended in the Battle of Culloden in 1745, after which the nasty English decimated the highlands under the leadership of ‘Butcher’ Cumberland. Well, there’s a lot that could be said about that part of Scottish history. 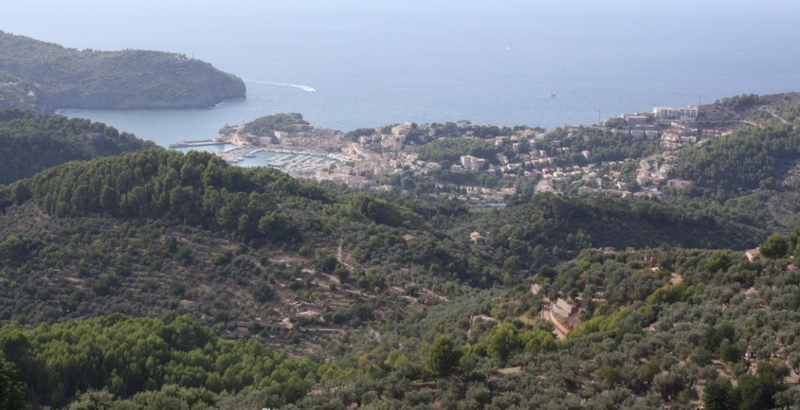 There were Jacobite risings in 1708 (aided by 6000 French troops in nearly 30 ships of the French navy), in 1715, in 1719 (this time aided by the Spanish), a failed invasion attempt from France aided by some Jacobites in 1744, and the big one ‘The Forty-Five’ in 1745. These rebellions were not simply Scots against the English, and neither were they simply Highlanders against the rest, though the vast majority of Prince Charlie’s supporters came from the north. As an aside, us MacLeods covered all angles – some stayed at home, some fought for the Jacobites, and some fought for Cumberland. Anyway, after so many rebellions, and especially in the face of the failure of appeasement after the ’15, it is understandable that a far harder line was taken in the north after Culloden. No quarter was given. No quarter would have been given by the Jacobites, if they had succeeded with their plan to catch Cumberland’s forces asleep in their tents, before the actual battle. 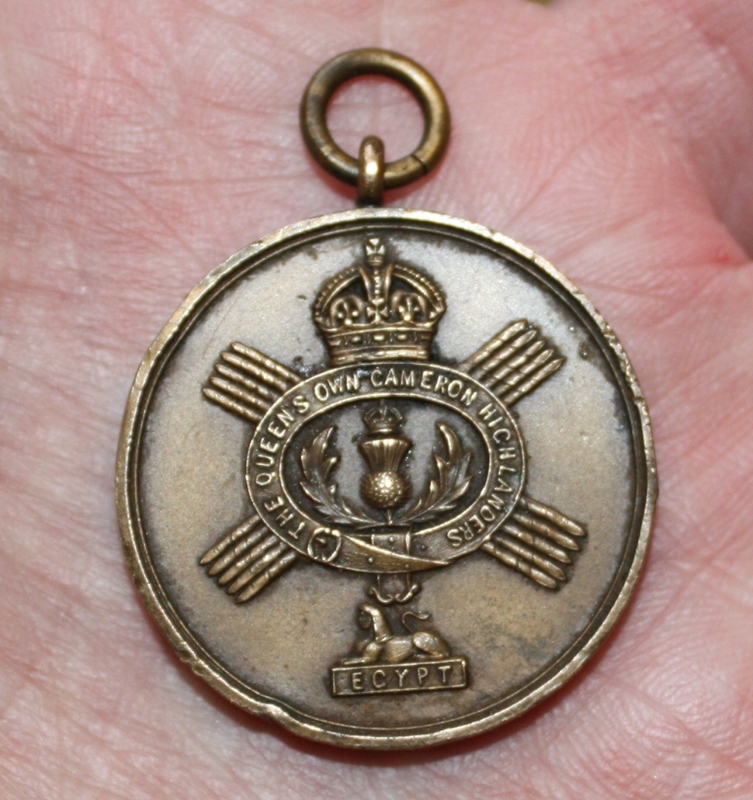 Another aside – the Battle of Culloden was the only major battle that Prince Charlie ever lost, and the only major battle that Cumberland ever won. Culloden certainly had an effect on Highland feudal society, and many of the old ties were broken. You could, at a stretch, equate the Jacobites of 1745 with the Taliban of today. Both from highland areas, extremely religious, semi-feudal, wild, fighting traditions, etc, etc. It’s ironic that the descendants of the Jacobites are today fighting the Taliban (“The Highland Regiments, which forged the great military victories of the expanding Empire restored our self respect as a kilted and warrior race, and still fight fiercely on our behalf, as the Taliban are finding out to their cost!” The Jacobite, No.133, Summer 2010). The myths, though, continue that, somehow, despite the passing of 70 years, the Clearances were a pretty direct follow-on to the failed Jacobite rebellions. Don’t ask me how this is supposed to be the case. Once again, so the myths go, it was the nasty English who cleared the highlanders off their land. Well, as I’ve written before, most of the clearing was done by other highlanders, and it would probably not have been possible had Scots Law not been retained at the time of the Union. According to the myths, it was not until the Crofters’ Holdings (Scotland) Act, of 1886, that things started to get on an even keel, as it were, and people were granted a legal right to their own land. Well, even with that Act and others that followed, there are some who would say that they have had a negative effect on economic development in the Highlands. The thing about all of these myths is that they are still current today, and can sometimes have an effect on the ‘national psyche’, troubled or not as may be the case. If, however, you get the history right, you’re in a far better position to think reasonably about the future. 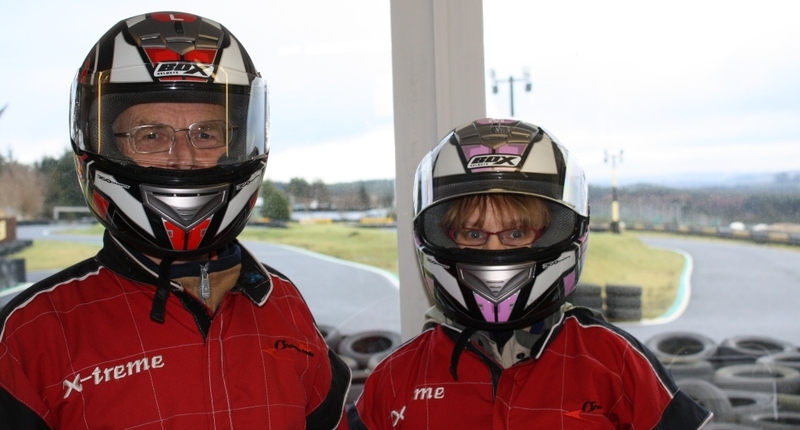 As a result of a Groupon coupon, Lindsey and I enjoyed a karting session at Knockhill yesterday. It was supposed to have been a Christmas present for Jamie & Shaun, but Knockhill was closed during the holidays, and the coupon had to be used up before the end of January. It is great fun. You get to dress up like The Stig and drive round the circuit. The karts seem very powerful, but this is probably because you are so close to the ground. 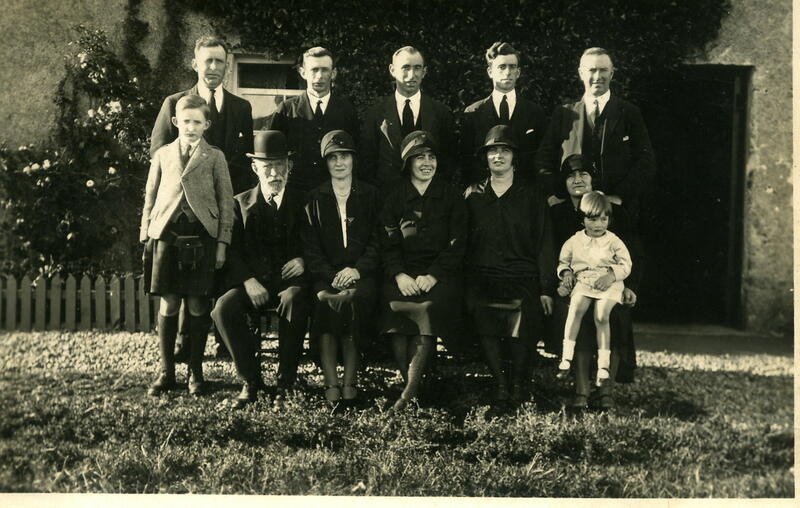 Mackays, Mackenzies and MacLeods, outside Aird Cottage, Beauly (I think), c1930 when my grandparents lived there. I wonder what the event was, to get them dressed up in their Sunday best outfits.